By Matt Amos: This Saturday night (8th September) will see the “Wavetree Bomber” Tony Bellew further enhance his credentials when he meets the tough, powerful former middleweight Contender Edison “Pantera” Miranda at Alexandra Palace in London for the WBC International Light Heavyweight Title. Bellew, 17(11) – 1(0), is an exciting, slick 29 year old boxer who has already captured the British and Commonwealth titles. An articulate, likable family man with an accomplished domestic amateur career having won three National ABA Heavyweight Titles, he will look to increase his worldwide exposure when battling the well known rugged Colombian. 31 year old Miranda, 35(30) – 7(3) is a proven operator at top 10 level in the middle and super middleweight ranks and like Bellew attained considerable success at amateur level winning four national titles and reputedly 128 of 132 fights. He achieved his greatest professional triumphs in 2006/7 when stopping the granite chinned Howard Eastman and then defeating the previously unbeaten Allan Green. A controversial world title fight with Arthur Abraham followed in which after breaking the Armenian German’s jaw and having point deductions for headbutting he was subsequently outclassed by Abraham. He then was convincingly stopped by a peak Kelly Pavlik. Since this time weight fluctuations have seen him step up to 168 and 175 but without his previous success. The fight on Saturday will be an excellent gauge to see how well Bellew is progressing. His career seemed to stall following unconvincing victories over Bob Ajsafe and Ovill McKenzie both in which he were dropped by relatively light punchers. He returned with a much improved mature display against the now Commonwealth champion McKenzie before stepping up for his toughest assignment against the young unbeaten welsh hero Nathan Cleverly. He performed well if slightly inconsistent against Cleverly in front of his partisan crowd but ultimately the welsh man did enough (I had Cleverly three rounds in front). Last time out he easily stopped the chinny but dangerous Danny McIntosh to move to number 26 in the WBC rankings. Victory over Miranda for the lightly regarded WBC international title will bolster his ranking into the top 20. Tony Bellew, very much a student of the game, has shown solid grounded boxing skills to date along with decent power and speed in both hands. At 29 he is reaching the prime of his career and is fully established at Light Heavyweight. A strong trainer who works out twice a week at his beloved Everton Football club training ground he will fully expect to outwork and overpower Miranda. “Pantera” seems to be well past his prime. His raw uncompromising style has seen him get in trouble in the past; most recently when disqualified in July of last year against Yordanis Despaigne and Bellew will do well to avoid his propensity for low blows and use of his head. Miranda seems to have lost a great deal of his punch resistance since stepping up in weight. He was clinically dispatched in a rematch against Abraham at a catch weight of 166 before Lucian Bute crushed the panther with a stunning left uppercut in the third round of their IBF 167 clash. Sandwiched in between was a hardworking but clear outclassing by the talented Andre Ward. What he still has though, which should worry Bellew, is excellent punching power. With 30 of his 35 wins coming early he has the weapons to stop the fight if catching the Liverpudlian clean on the chin. A former Ring magazine KO of the year winner with his stunning stoppage over David Banks in 2008 the question is whether Miranda will be able to carry his power up to 175. Though he failed to register any significant power shots against the improving top 10 rated Isaac Chilemba last time out he will be confident of having the tools to hurt the questionable jaw of Bellew. However having been involved in some tough fights does in recent years will he have the ambition or desire to engage in tough 12 rounder against the fresh, determined “Bomber”. Pantera has gone the full championship limit just once in six years (loss to Ward) and by all accounts looked tired late on against the crafty Chilemba. 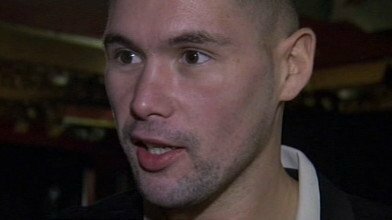 I predict a tough opening four to five rounds for Bellew against the experienced Gate Keeper Miranda who will swarm forward with his aggressive style and occasional wild swings. If the Bomber can remain focused and weather an initial storm holding Pantera at bay with his massive 10 inch reach advantage he can assert in the second half of the fight frustrating the Columbian with his superior boxing skills and winning by a clear unanimous point’s victory or even late stoppage.